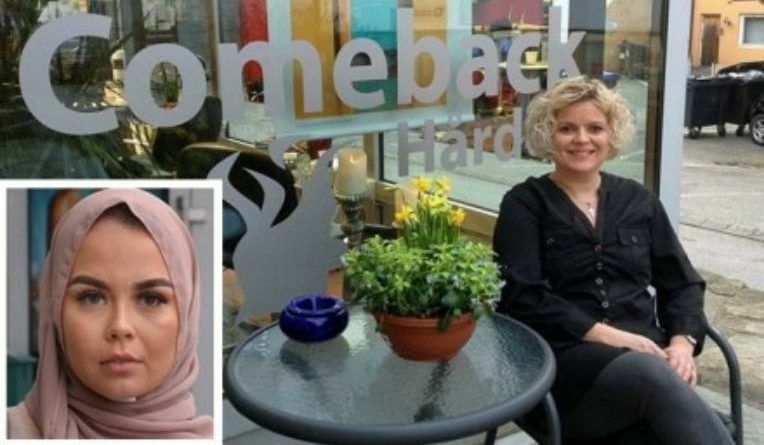 A 47-year-old hairdresser in Norway could face up to six months in prison for refusing to serve a Muslim client wearing a hijab in the country’s first case to go to court over the Islamic headdress. In accordance with Shariah law, she needed to have no men present to undo her hijab and uncover her hair to be styled. So she demanded Hodne remove all men from the premises. Hodne, a stylist for both men and women, couldn’t comply without discriminating. Her response, however, was a little over the top. According to the Express, she literally said she didn’t “want this evil inside the doors where I’m in charge,” which was discrimination, according to local authorities. “I fear the totalitarian symbol of the hijab which says that I should be killed, and for me, it is quite unnatural to provide good service in my situation. As most people know hijab-clad women do not get to show their hair to men. My salon is a men and women’s hair salon,” she said. “It would have been deeply discriminatory if I had banished men from the lounge because of a woman who could not show her hair to them,” she said. 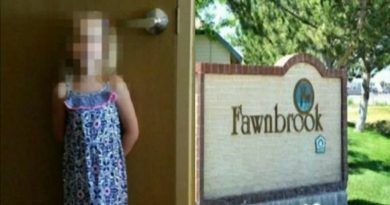 She has already been fined for discrimination, but she wasn’t budging. “If hijab is welcome in all other haircutting salons in the country, it shouldn’t be a problem if they are not welcome in my business. I have plenty of experience and can do my job, but there are many other hairdressers who also can,” she said. Whatever happen to “the right to refuse service at owners digression” Without being bashed or called racist? Peace be still! If any decent Muslim woman take issue with going in to a hair salon with men it say that she is a plant or and agitator or being paid to make the new by agent prevaricators ,to give Islam a bad name. The Muslim women who know there religion would never go in a place adorned with men to remove her hijab, my advice to Muslim women the world over is open your own beauty salon for Muslim women only then it will be the other way around,then the men will be the invaders. Very good answer Ameen. I think you are absolutely right when you say she had to have known this was a salon for both men and women. I think the Muslim woman should be fined for being an agitator…. if they fined the hairdresser than they should fine the agitator too. This is BULL5HIT. This muslim knew what she was doing. Go to someone that would accommodate you. Go somewhere that has ALL WOMEN. This should be thrown out. Where has she been going all these years to have her hair done? She done this on purpose to get a reaction! And the stupid people in the courts have fallen for it, she must be laughing just to think how stupid gullible our European law courts are! Just another example of them coming into a country, expecting the citizens to drop to their level of civilization. Why would barbarians expect the world to change their ways just to accommodate the ancient group of people? We all have to stand tall and strong and let these people know that they are the guest here and if they don’t like our rules, or any country’s customs…the door swings two ways. This hair dresser took the right path. She stood up to the law of not discriminating many, over offending one, that came to be offended. She did exactly the right thing. When it wrong to stand up for your own beliefs, to protect the rights of one you disagree with…Rights are on both sides, and no one side is more important than the other. If its my business I have every right to turn anyone away based on what the hell ever I want. I do not have to “like” everyone and just because I do not does not make me racist..it makes me a particular person. I have opinions and if you should feel affected by them in a negative way..you have the right to go find someone who your comfortable with instead of harrassing me for MY beliefs. I do not work for the government. Im not affiliated with any organization that promotes racial division based on personal opinions..which EVERYONE has a right to.